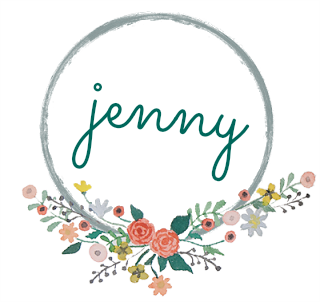 Oh yes, that's a mighty attention grabbing title to a blog post don't you agree?! Ha ha!! Thing is, it's actually the truth. 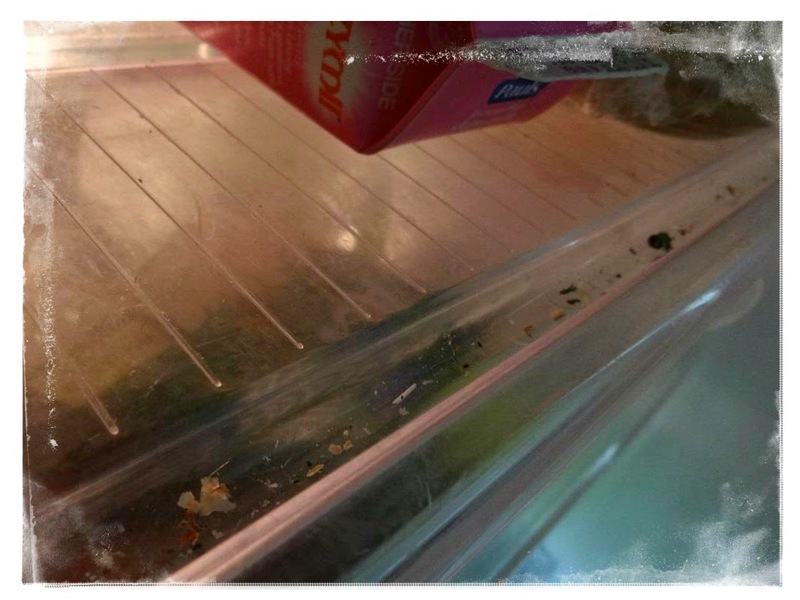 My morning after the ordinary chores and attending to the business stuff was spent pulling everything off, and out of, my 11 year old refrigerator. It's a task I never enjoy until it's over - because when it's all shiny and gleaming back at me after a thorough scrubbing out, that wonderfully warm and fuzzy love for housework fills my heart and overflows into at least 48 hours of smiles. 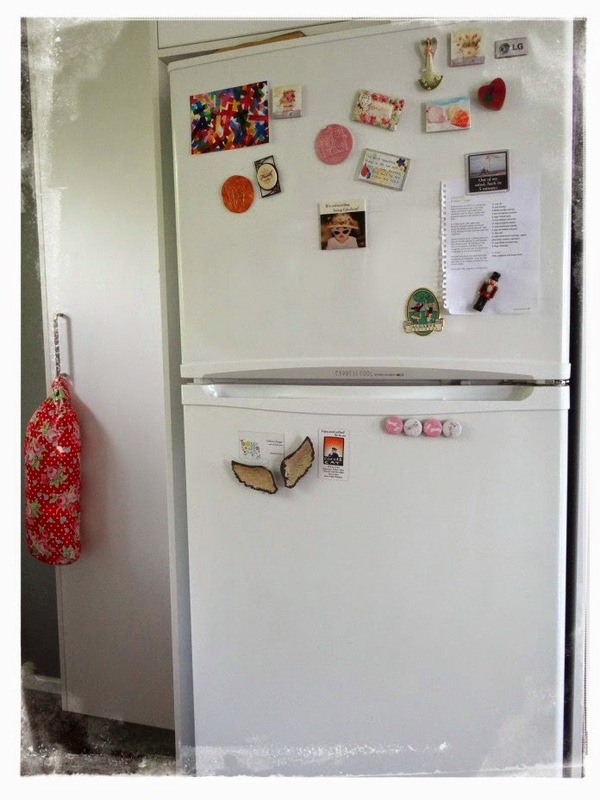 Do you suffer from magnet and note clutter too? 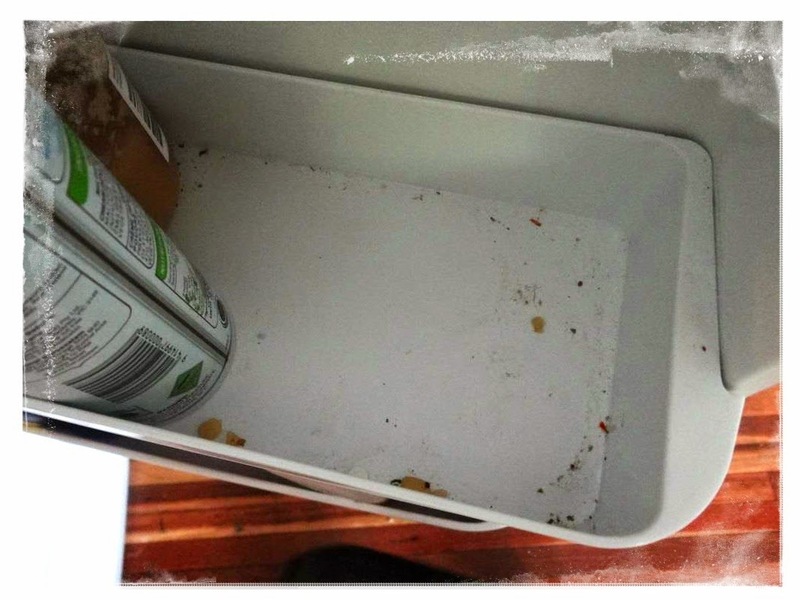 Gritty leftovers from veggies in the shelving and under the egg trays? Juice splashes in the door? Love the afterglow of domestic satisfaction. I am seriously hooked on this show! One of my goals for A Year of Gentle Domesticity is to begin designing and making my own clothes, so this show has become invaluable for learning the skills I'll need. Thankfully the episodes are on YouTube and I can watch that through our telly (no squinting at my ipad! yay!). Do you reward yourself with something fun after you've completed an un-loveable chore? I may have to hunt down a gold star...Mr E can pin it on me when he gets home from work. 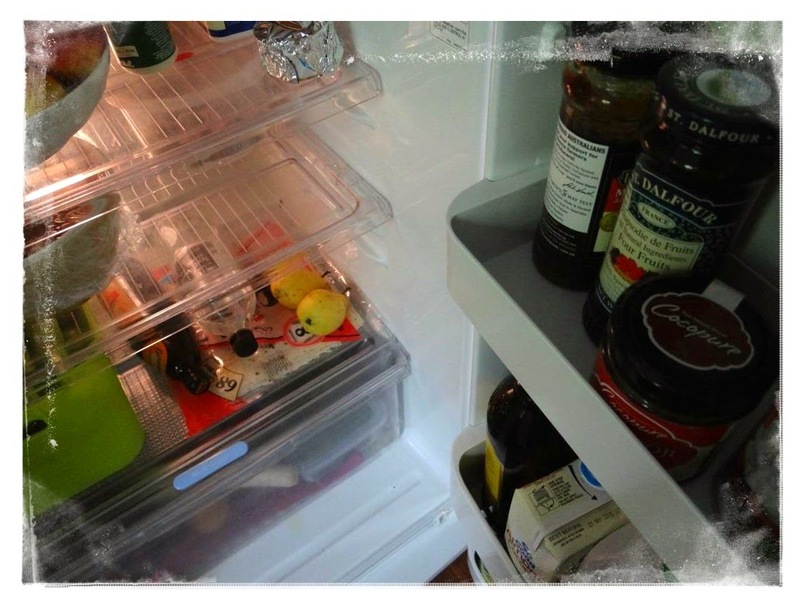 I love a clean fridge too and I go over the top by putting lace doilies on the clear shelves haha!!! The inside of my fridge looks gorgeous. I need to invite you over for a day and turn you loose on my house. Maybe when our snow melts I will get into my normal Spring cleaning mode. Sure hope so. Mine is very gross! I'm thinking I should offer some one $$$ to come clean it. I wonder if the GRAND Teen needs some cash? I JUST DID MINE YESTERDAY! :) Here is a tip and I have been doing it, so yes, it works. Cover the shelves with Glad Press N Seal. When they get gross, peal off and toss! Congratulations on your hard work!! 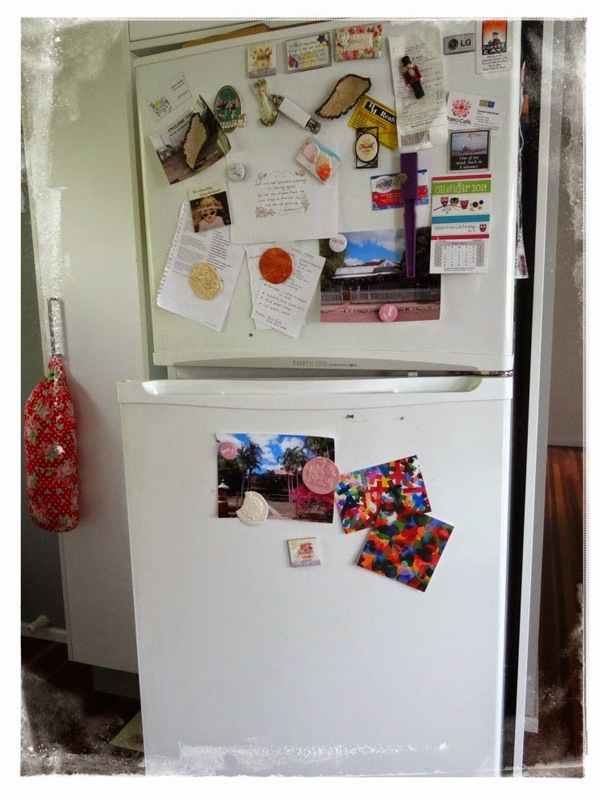 Your post reminds me that our fridge really needs a good clean out too! 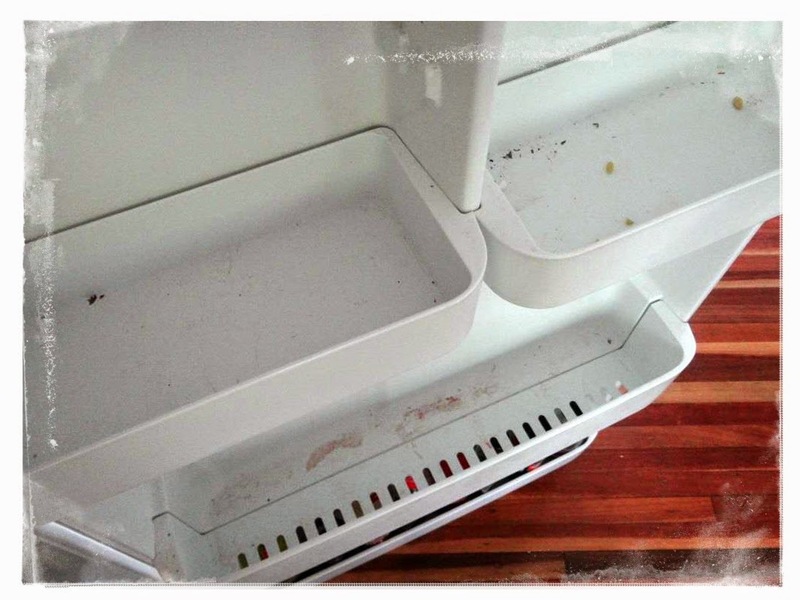 The day before I went off to Let's Get Stitched, I cleaned out the 2 'crisper' drawers of my fridge, because I didn't want DH getting any nasty surprises when he was 'batching'! Lol. Those drawers plus the shelves on the door seem to attract grunge don't they? I loved the first series of the Great Sewing Bee but didn't realise a second series was showing...what channel? 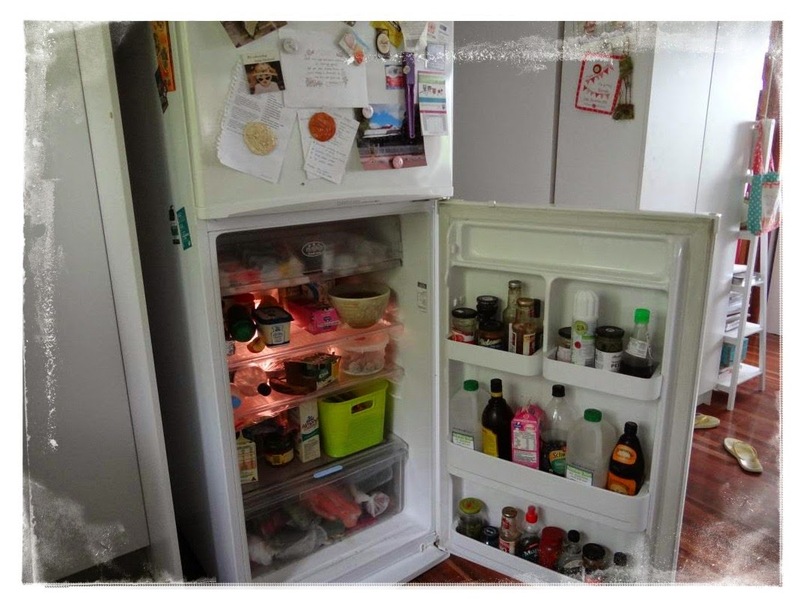 I'm glad that other people don't always have sparkling clean refrigerators all the time! And I heartily believe in rewards. Things like dentist, mammogram, etc. mean I get a Starbucks peppermint hot chocolate or peppermint chocolate frappuccino; and I allow myself to listen to a book on tape while cleaning, especially bathrooms! 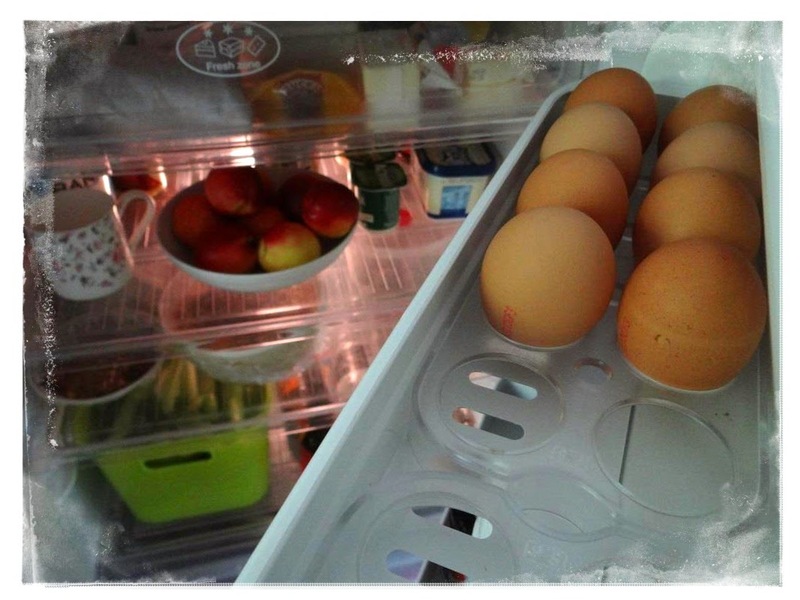 Cleaning the fridge always makes me feel better. I guess because everyone uses it all the time and if it is looking a bit grubby, everyone sees! That said, mine at the moment looks like your before photos! Must get off the internet, but there are too many pretties to look at! I know exactly how you feel. I hate to clean the fridge too. I haven't scrubbed mine in awhile either. I usually just clean up what I see dirty. 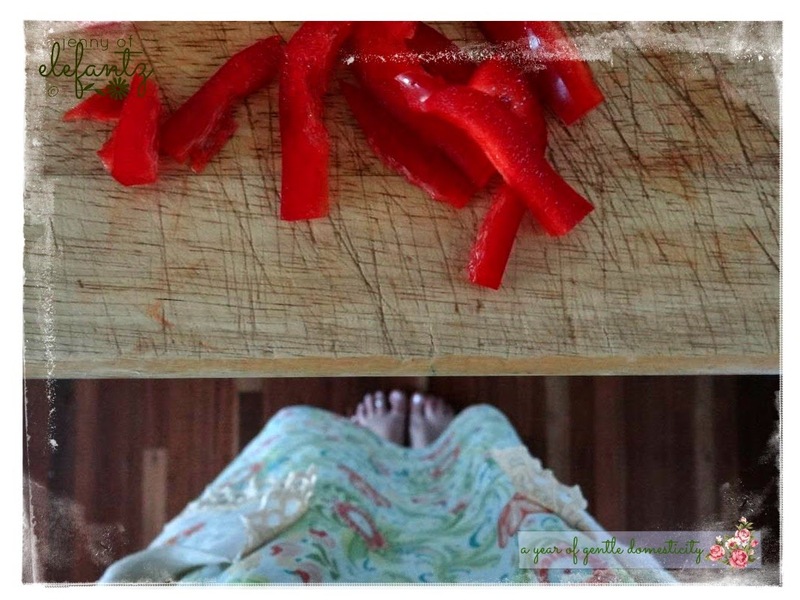 I love that phrase 'the afterglow of domestic satisfaction' so right! But I still can't come to love cleaning! 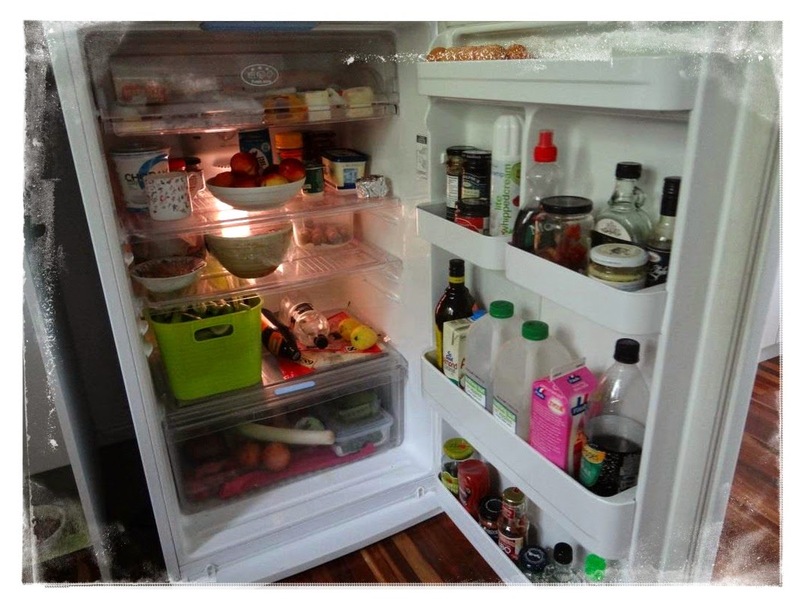 The fridge looks lovely and clean and organised,. Well done. That UK show sounds amazing, enjoy.. 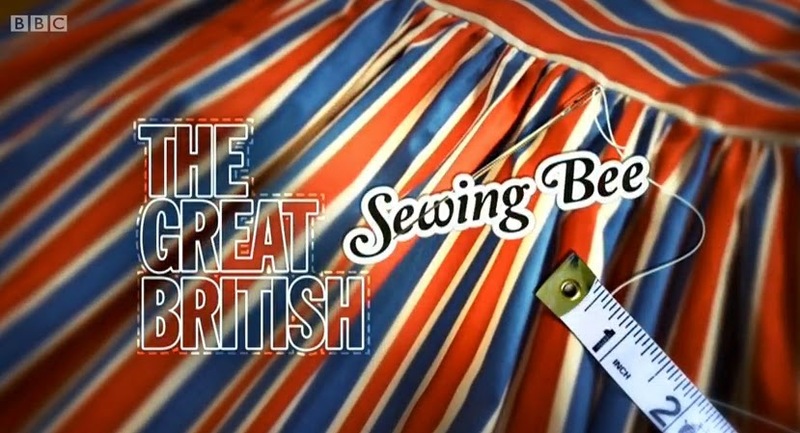 Thank you for telling me about The Great British Sewing Bee! Here in the US I watch Project Runway, which I think is similar. I look forward to watching some of these shows (TGBSB) on Youtube. 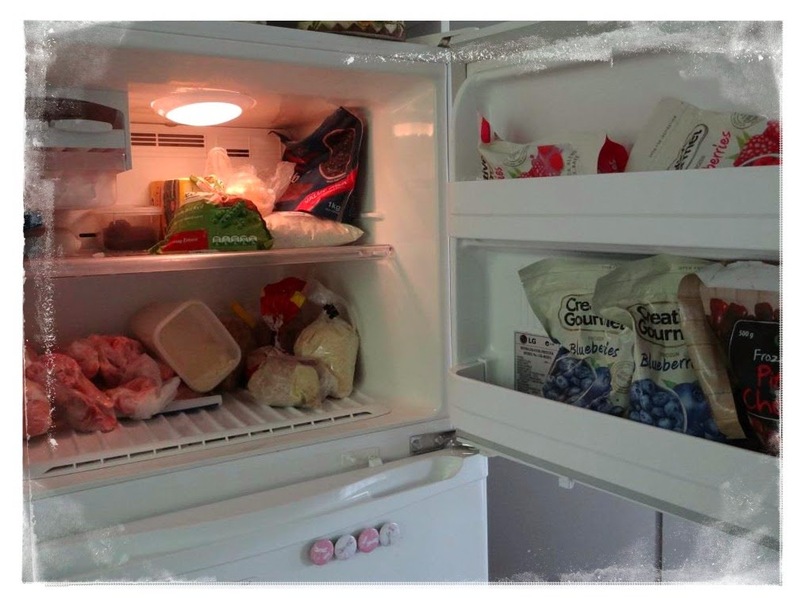 My fridge looked like that last weekend. I spent the day cleaning it and getting it all sparkly. Now I need to do the oven! It self cleans but I have to take out the racks and do some pre-treating before. Why are these chores something we put off till the very end when they get grimy? Good to know I'm not alone.